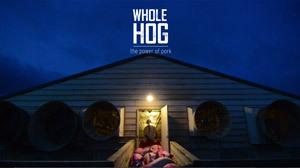 This project aims to shed light on the energy dynamics within the hog industry in North Carolina. We will explore the complex set of relationships among those with an economic, environmental, cultural and political stake in the industry. We plan to inform, engage and surprise through the multimedia telling of human stories behind the facts. Jess Clark is a journalist and a master’s student in the School of Journalism and Mass Communication at UNC Chapel Hill. After she finished her B.A. in English at Centre College in Danville, Kentucky, she ended up back in her hometown of Louisville, Kentucky, where she worked as a writer, copyeditor and proofreader for several publications. As a journalist, she focuses on telling stories in print, online and on the air that show how economic inequality intersects with race, gender and public policy. Her radio stories have aired on WUNC and Carolina Connection (WCHL), and her written work has appeared in the Independent and on her blog, www.nctriangled.com. Grayson is an award-winning graphic designer, data visualizer, web programmer, animator, and motion graphic artist. Born and raised in Charlotte, N.C., Grayson earned a B.S. in Journalism with a minor in Graphic Arts from Appalachian State University in 2003. After an eight-year career in the news industry as a reporter, copy editor, and designer, Grayson began teaching courses on graphic design and news writing at the University of North Carolina at Chapel Hill School of Journalism and Mass Communication as well as the UNC Scholastic Media Institute. He is now a second-year Master’s candidate and Roy H. Park fellow studying Interactive Design at UNC. His portfolio is available at www.graysonmendenhall.com.